This is quite old project and it needs a new revision. Double bootstrapped MOSFET OPS is higly efficient because its output swings nearly from rail to rail. It means that no PSU voltage is wasted. 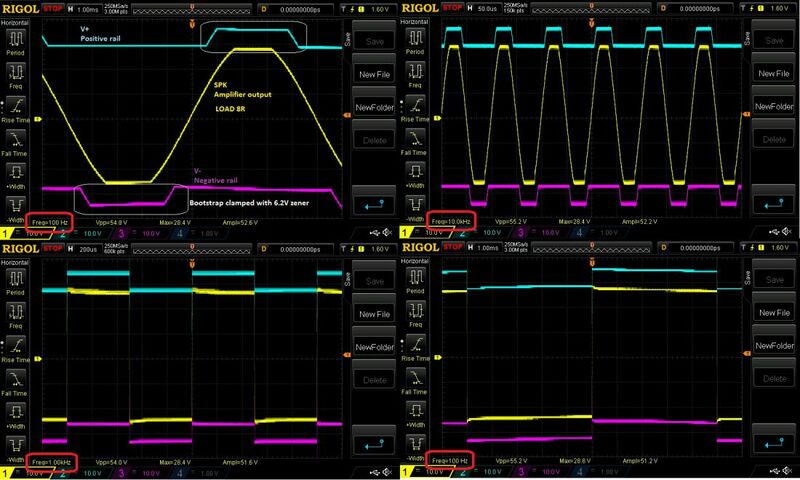 IPS and Driver sections are supplied from bootstrapped PSU with zener clamps (see oscillograms). 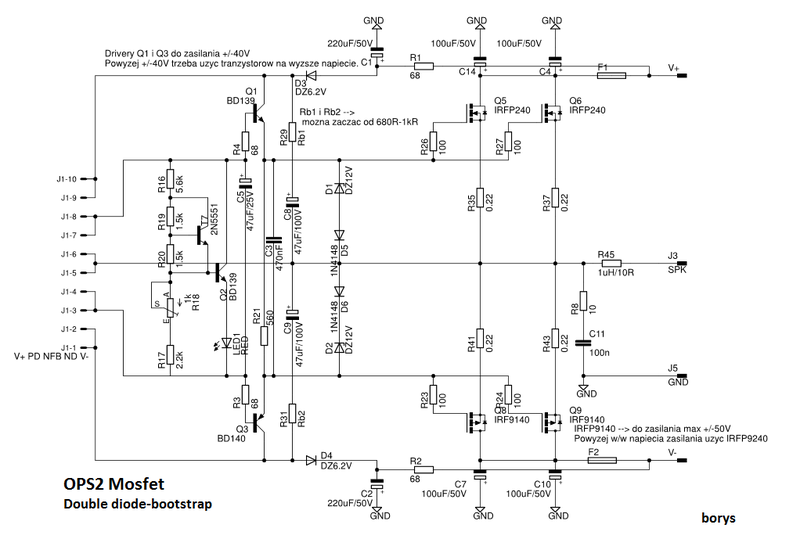 Low current diode bootstrap has a bit higher measured THD than higher current resistor bootstrap. Highly recommended for a subwoofer amplifier.